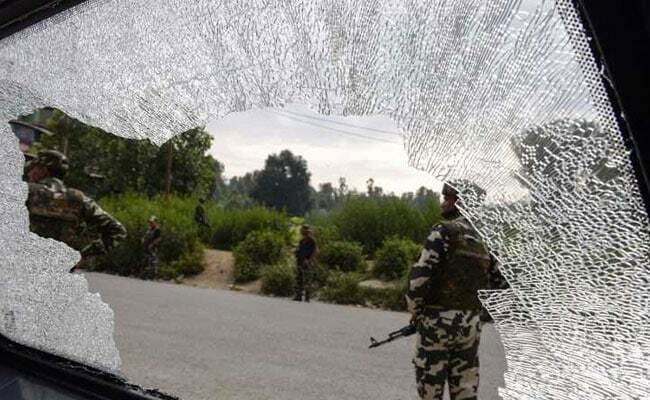 A bus carrying Amarnath yatris, reportedly not a part of the main yatra convoy, was attacked on Monday by terrorists, killing seven pilgrims and injuring 20 others. 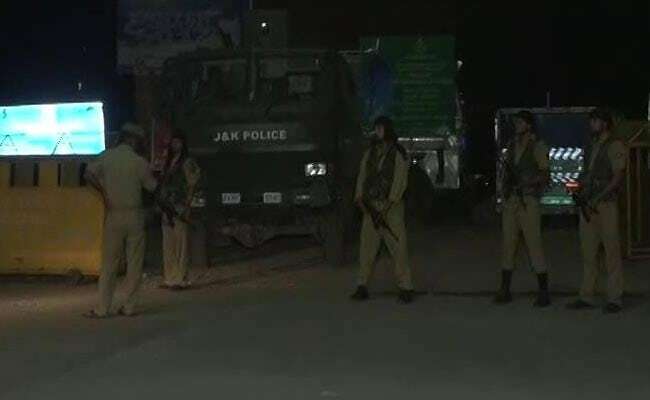 The attack took place at Jammu and Kashmir's Anantnag district at 8:20 pm. There is high-security on Jammu-Srinagar National Highway in Udhampur and internet services have been snapped. The bus that was fired on was registered in Gujarat. Police sources said that it had violated the rules of the pilgrimage which bans buses from travelling on a highway after 7 pm for security reasons. The bus was also reportedly not part of the official tour for the Yatra which means that it was not given the customary police protection. The Amarnath yatra is a symbol of Jammu and Kashmir's composite culture and the perpetrators of the attack on pilgrims stand exposed before the people of the state, Minister of State in the Prime Minister's Office Jitendra Singh said today, news agency PTI reported. "This yatra itself is a symbol of Kashmir's composite tradition. This is a yatra where people of one faith undertake the pilgrimage and the people of the other faith act as hosts. 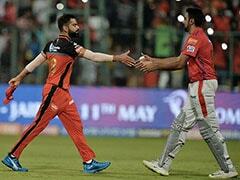 I think this is one of the most distinct examples," Mr Singh said. BJP General Secretary Ram Madhav today ruled out security lapse behind the attack on Amarnath yatra pilgrims in Jammu and Kashmir, news agency IANS reported. "There has been no lapse, adequate security has been provided. The yatra had been peaceful for the last 15 days," Mr Madhav said. He said the security forces have to succeed each time, while terrorists succeed even if they get a single chance. "The security forces have to be successful 100 out of 100 times. But the terrorists win even if they succeed in striking once," Mr Madhav said. Punjab Chief Minister Amarinder Singh today condemned the "dastardly" terror attack on Amarnath pilgrims in Jammu and Kashmir. In a statement, he said the people of India were together against elements who were trying to destabilise the country, news agency PTI reported. Former Rajasthan Chief Minister Ashok Gehlot today said the attack on Amarnath yatra pilgrims was a "grave security lapse" which occurred despite intelligence inputs. "I condemn strongly the attack on Amarnath pilgrims, in which devotees have been killed. It is a cowardly act to target peaceful pilgrims," Mr Gehlot tweeted. #AmarnathYatra must continue with heightened security. Nefarious designs of terrorists must be defeated. India will never be bogged down. 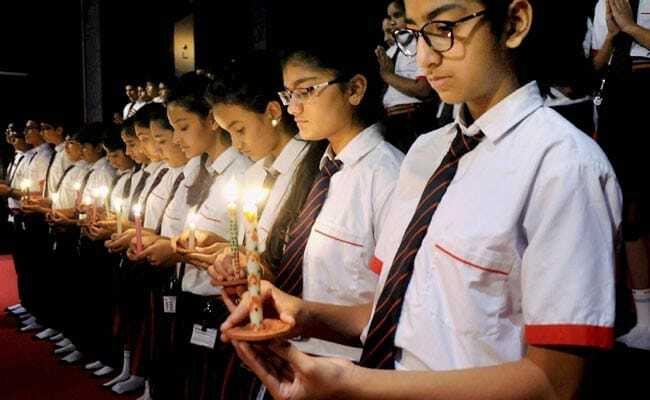 The centre today announced compensation of Rs 7 lakh for the next of kin of the Amarnath pilgrims killed in the Anantnag terror attack, and Rs 1 lakh for the injured, news agency PTI reported. A Home Ministry spokesperson said compensation will be given to the victims of yesterday's terror attack as early as possible. 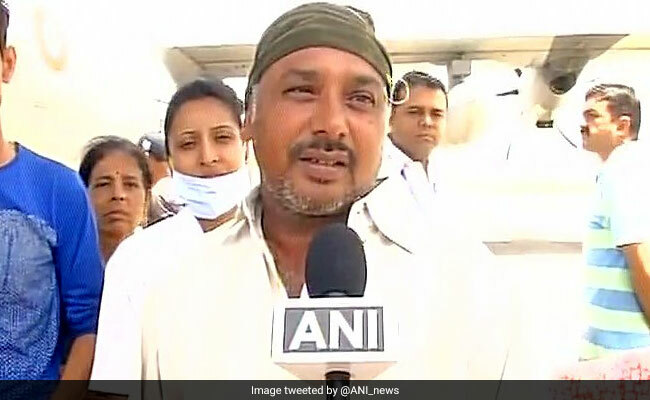 The Jammu and Kashmir government and the Shri Amarnathji Shrine Board or SASB today separately announced rewards totalling Rs 5 lakh for Sheikh Saleem Gafoor Bhai, a bus driver who drove on through a hail of bullets and didn't stop until he spotted an army camp. The Jammu and Kashmir cabinet, which met under the chairpersonship of Chief Minister Mehbooba Mufti, sanctioned a reward of Rs 3 lakh for Mr Bhai for exemplary alertness and courage, news agency PTI reported. Governor NN Vohra, in his capacity as chairperson of the SASB, announced a reward of Rs 2 lakh for the driver, PTI reported. The Shiv Sena today condemned the attack on Amarnath pilgrims, news agency PTI reported. "This attack was not only on pilgrims going for the Amarnath yatra but on the entire country and the government in Delhi," Shiv Sena Member of Parliament Sanjay Raut told reporters in Mumbai. "Merely condemning the incident will not suffice. It is now high time that this is given a befitting reply," he said. 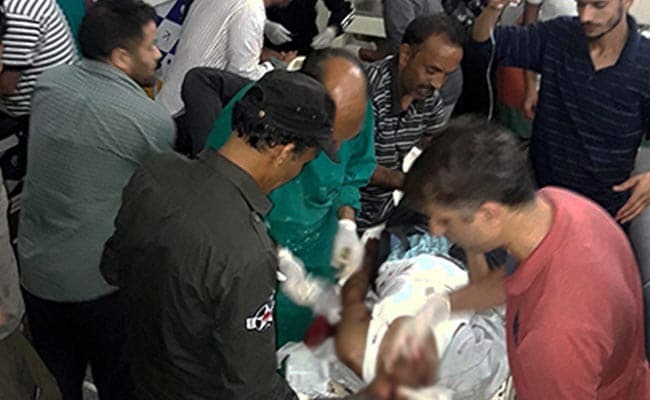 Chhattisgarh Chief Minister Raman Singh today condemned the terrorist attack on Amarnath yatris in Jammu and Kashmir's Anantnag district, news agency PTI reported. "I strongly condemn the attack on Amarnath yatris. It is a heinous act done by Pakistan-supported terrorists. It is a cowardly and shameful act by terrorists on innocent and unarmed pilgrims," Mr Singh said in a statement today. Army chief General Bipin Rawat will visit Badami Bagh cantonment and meet with army commanders, news agency IANS reported. He is also likely to meet with officers of the Jammu and Kashmir Police and the Central Reserve Police Force. 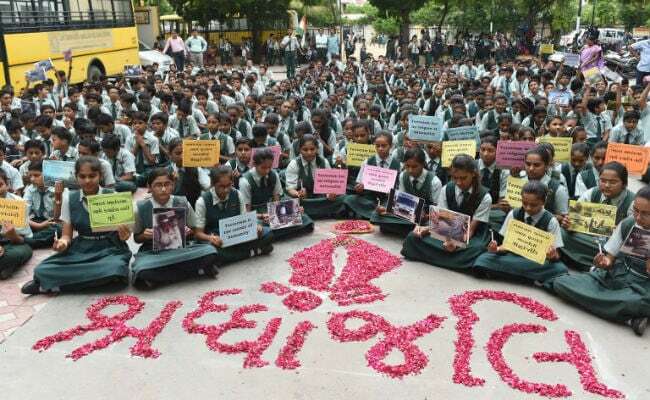 Schoolchildren take part in a vigil staged in Ahmedabad today, following an attack on Amarnath pilgrims in Kashmir. In his message, he condoled the families of the deceased and said perpetrators of such "wanton" acts of violence should be punished for the "crime against humanity". He said India remains united in the face of such attacks. 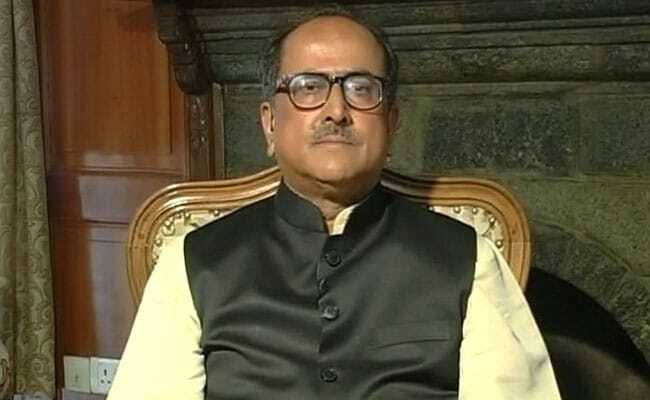 "I'm shocked to learn of the dastardly terrorist attack on Amarnath yatra in Jammu and Kashmir which has resulted in loss of lives and injuries to pilgrims," he said. "Such wanton acts of violence can have no justification. The perpetrators and those who support and shelter them should be punished for this crime against humanity," Mr Ansari said. 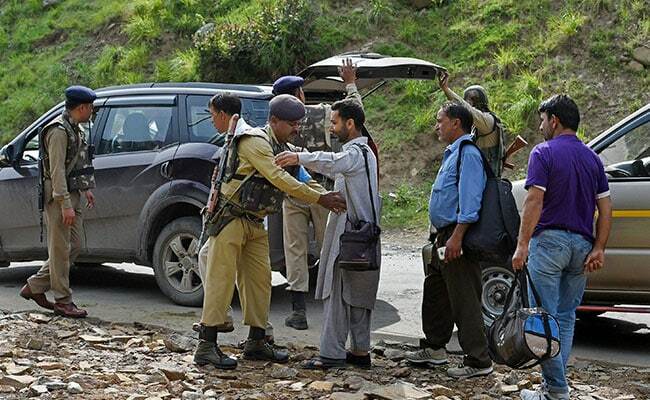 As a group of terrorists surrounded a bus with 56 Amarnath pilgrims on Monday night and fired indiscriminately, driver Sheikh Salim Gafoor Bhai kept driving. In inky darkness, he drove on through the hail of bullets to safety. Gujarat Chief Minister Vijay Rupani announced that: "People from Gujarat who have lost lives will get Rs 10 lakh each from Gujarat government, injured to be given Rs 2 lakh"
He also thanked the bus driver for saving lives of people even when there was firing going on. 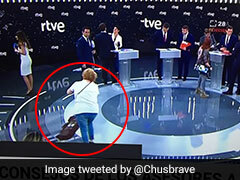 Will nominate his name for bravery award. The state's Chief Minister Yogi Adityanath chaired a high-level meeting around midnight where he took stock of the security situation and directed officials to spruce up intelligence network. We deplore the attack on #Amarnath pilgrims & condemn all acts of terrorism. Deepest condolences to the families & all those affected. Officials from all the security agencies present, the CRPF, Army and the Jammu and Kashmir police. 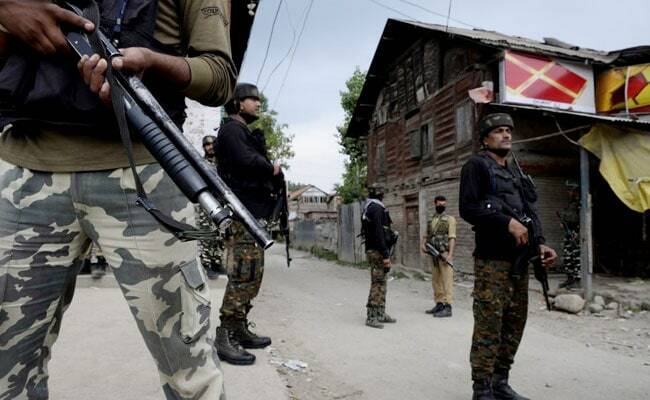 Heads of security forces include General officer Commanding (GoC) of Srinagar-based Army's 15 Corps, Inspector General Kashmir police, Divisional Commissioner of the dicision, IG CRPF. "Yes, definitely this is a big lapse. We have to enquire why the bus left at 5pm, why it was allowed after sunset. We were told there was a tyre burst and the driver took time to replace it," the Deputy Chief Minister said. 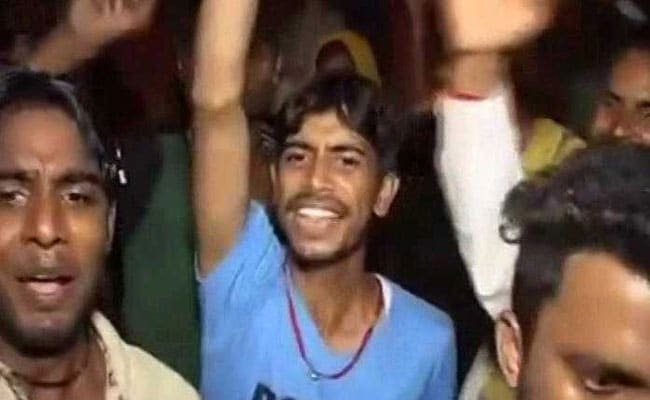 Making it clear that the 40-day Amarnath Yatra will not be cancelled despite the massive terror attack, Dr Singh further told NDTV, "It is the design of terrorists to scare people, but people must come for the Yatra." 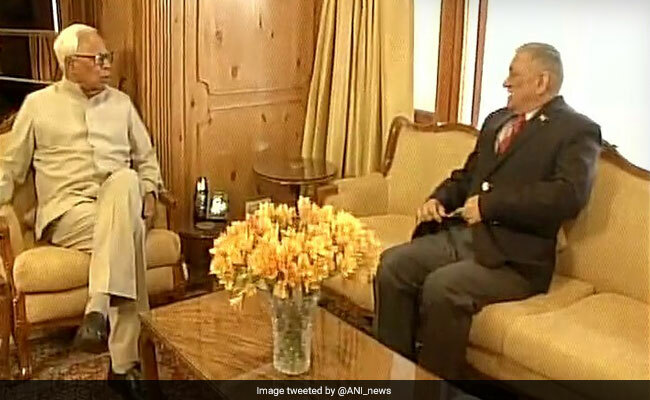 DG CRPF, who reached Srinagar early in the morning, is attending security review meeting under the chairmanship of Governor of Jammu and Kashmir. Thereafter, DG CRPF will visit the site and have review meetings with CRPF officials and local police. 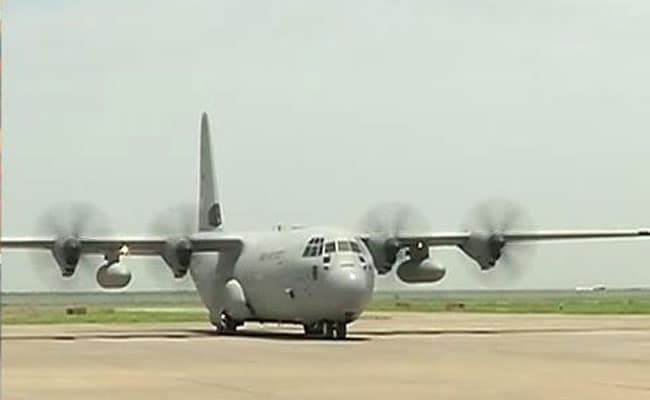 All the victims are being flown in a special air force plane to Surat in Gujarat today. It will reach there around 1 pm. The state's Deputy Chief Minister Nitinbhai Patel will be at the airport. 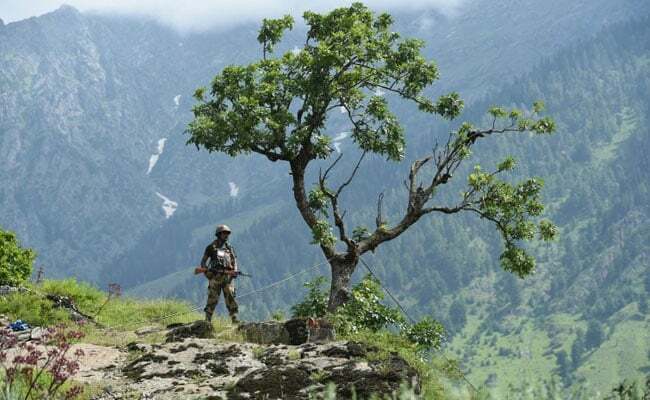 JUST IN: Delhi on high alert post Amarnath terror attack, reports news agency ANI. Highly painful, condemnable & dastardly act of brutality on innocent pilgrims....by brutes filled with hatred. The attack on #AmarnathYatra pilgrims is an affront on India. It is an abhorring & condemnable act and should be dealt with firmness. Very painful that pilgrims who had gone to pray at Amarnath had to lose their lives in a terror attack! Barbaric & dastardly act! Killing of Amarnath pilgrims is cowardly act which is condemnable. I am saddened & convey my condolences to d bereaved families. All educational institutes closed in Jammu for two days. Jammu's political parties, chamber of commerce have called for a bandh. Union Home Minister Rajnath Singh calls meeting 9:45 am to review Jammu and Kashmir security post attack on pilgrims. 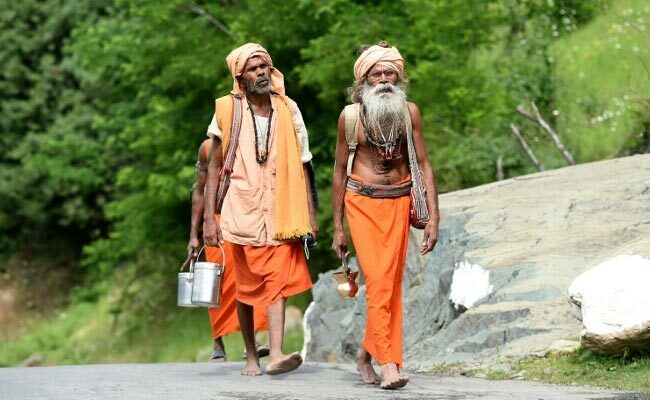 With their spirits undeterred, pilgrims make way to the Amarnath shrine. Meanwhile, a new batch of pilgrims have left for continuing their yatra. Deeply saddened by the killing of innocent pilgrims at #Amarnath strongly condemn the cowardly attack. Prayers for the bereaved families. 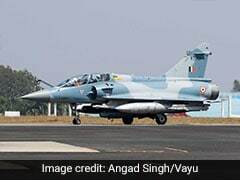 terror attack at Anantnag district will be airlifted to Delhi today. Total injured 19; all stable. 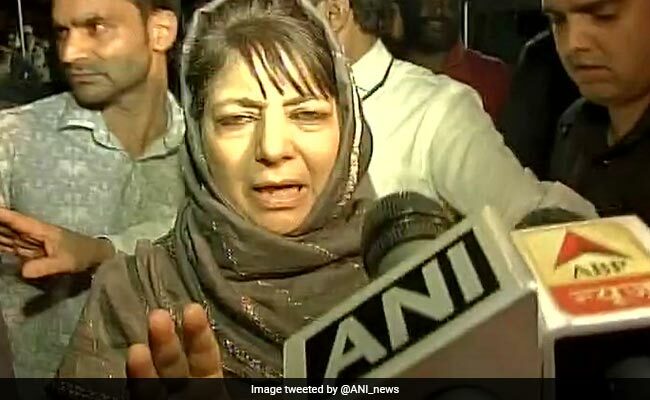 "I have no words to condemn this, hope those involved will be arrested and punished soon," Mehbooba Mufti on Anantnag terror attack. 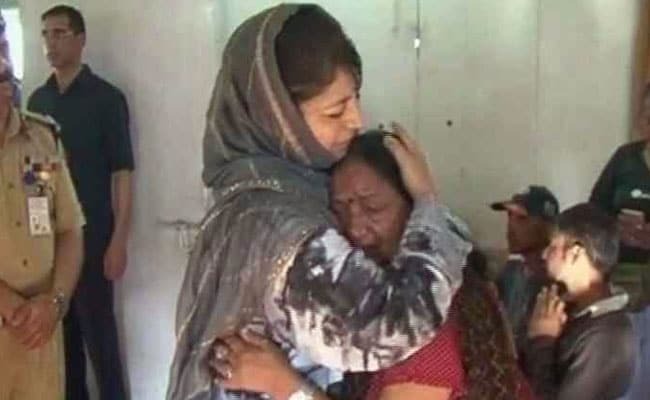 JUST IN: Jammu and Kashmir Chief Minister Mehbooba Mufti reaches hospital to meet the injured. The injured have been rushed to hospital. The last time the Amarnath Yatra was targeted was 17 years ago, in August, 2000. The terrorists had then struck in Pahalgam area, killing 30. The bus that was fired on was registered in Gujarat. 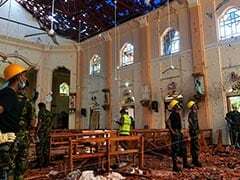 Five of the seven pilgrims killed were women, news agency Press Trust of India reported. Condemnation poured in from across the country after a terrorist attack killed seven Amarnath Yatra pilgrims and left 12 injured. Leader of the opposition Ghulam Nabi Azad said that the attack was an unforgivable act by the terrorists. The annual yatra to the holy shrine of Amarnath began from the twin routes of Pahalgam and Baltal amidst tight security arrangements on June 29. Over 6,000 pilgrims were allowed to move towards the shrine from north Kashmir's Baltal base camp while 5,000 pilgrims proceeded from the traditional south Kashmir Pahalgam route. Around 1.2 lakh pilgrims have registered themselves this year. Prime Minister Narendra Modi, in a series of tweets, expressed sharp condemnation for the attack. " India will never get bogged down by such cowardly attacks and the evil designs of hate," he wrote. PM Modi, who spoke to Jammu and Kashmir Governor and Chief Minister, also assured all possible assistance required. Mehbooba Mufti has condemned the attack in a statement, saying: "This is an assault on our values and traditions which we hold dear. We will leave no stone unturned to root out the perpetrators of this heinous crime." Home Minister Rajnath Singh spoke to Jammu and Kashmir Chief Minister Mehbooba Mufti and Governor NN Vohra, assured full assistance to help the injured. 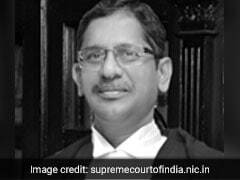 The police claimed the bus driver had violated rules for the pilgrimage, which state that no yatra vehicle should be on a highway after 7 pm, reported news agency Press Trust of India. 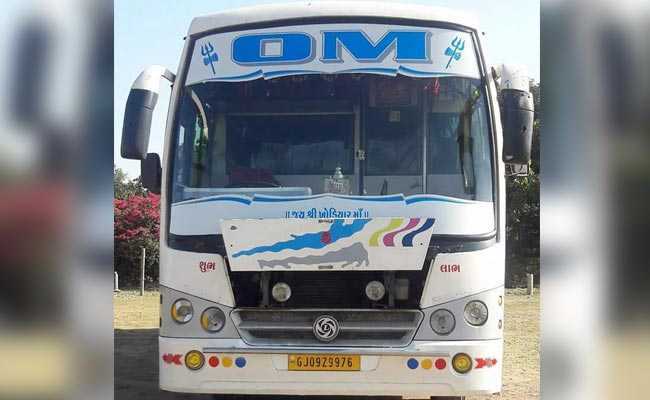 The bus, which was from Gujarat, was reportedly not part of the main yatra convoy and was not registered with the shrine board, the Central Reserve Police Force or CRPF said. Internet services in Kashmir have been blocked after Amarnath pilgrims in a bus were attacked by terrorists in Anantnag district.